Please use this index map to look up your area of interest using the number in the corresponding index grid to reference the detailed critical area map document sheet. For example: The subdivision Pointfield Landing is located in index grid 11. 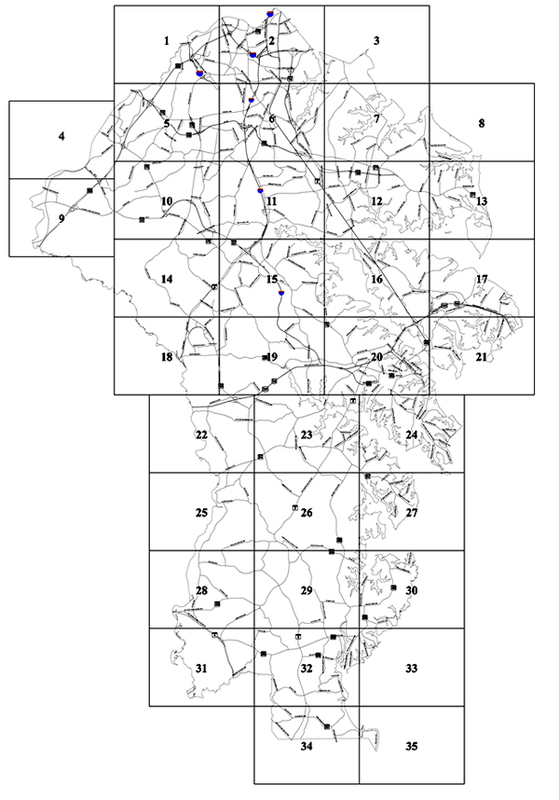 This index grid corresponds to the critical area map public sheet 11. Use the map document publicsheet11.pdf to view a detailed critical area map for Pointfield Landing.